The launch event provides and opportunity for participants to discuss the survey results and to discuss evidence-based policy-making for supporting Myanmar's development process. Myanmar’s transition to a market-based economy is accompanied by rapid development of the private manufacturing sector, which has large potential for improving economic growth. The overall success of the sector, however, should not be taken for granted. Future advances will greatly depend on the policy and business environment in which manufacturing activities take place. It is, therefore, important to better understand the business environment and help inform policies conducive to sustainable economic growth. 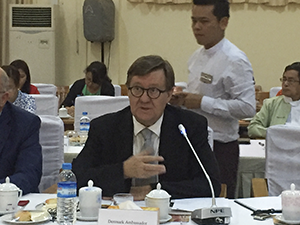 The Central Statistical Organisation (CSO) of the Ministry of Planning and Finance of Myanmar, the United Nations University World Institute for Development Economics Research (UNU-WIDER), and the University of Copenhagen, supported financially by Government of Denmark, have initiated the project ‘Towards Inclusive Development in Myanmar’. The project aims to strengthen evidence-based policy-making and analysis through a rigorous ‘Myanmar Micro, Small, and Medium Enterprise Survey’ of private manufacturing enterprises. The survey is the first nationally representative survey focusing exclusively on manufacturing enterprises and their employees. 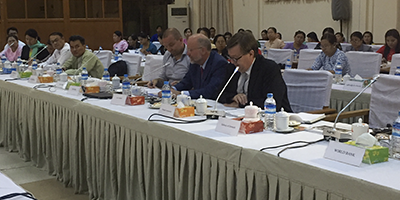 The breadth of information collected is unprecedented, and it will allow analysts to study enterprise performance and the business environment in Myanmar in depth, including dimensions such as: regulatory framework (e.g. formalization), firm performance, labour force, technology and management characteristics, innovation, investment, sales, access to finance, and perceptions about the constraints and potentials of the business environment. The launch event brings together policy-makers, representatives from international organizations and researchers to discuss the findings of the report.